This customized bobblehead can give your cute kid a big surprise with its extravaganza for his birthday. 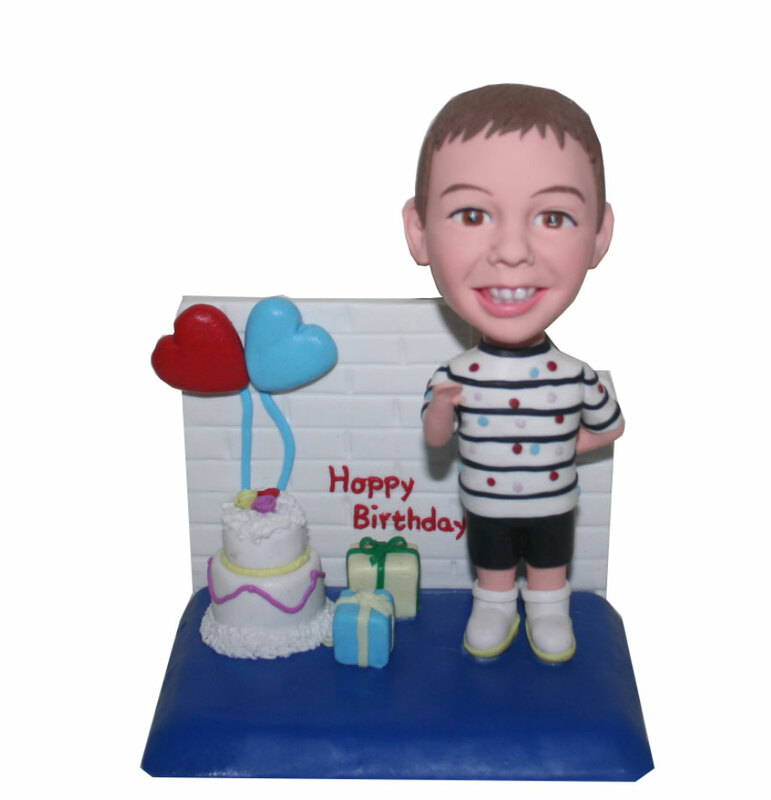 Wearing a colorful circle shirt next to his birthday presents and a big cake, his is the lucky doll in the world .By this bobble, your kid can feel how deep is your love for him. Our good artists are wishing happy birthday to him, too!